Quattro® is more powerful and more efficient than the previous generation of movers, it is also lighter and water resistant. The Purpleline Quattro will be available in both manual and automatic engagement versions. The new mover’s design has focused on increasing power and efficiency while decreasing weight. Purpleline have introduced a new innovative twin roller design that improves efficiency and grip. 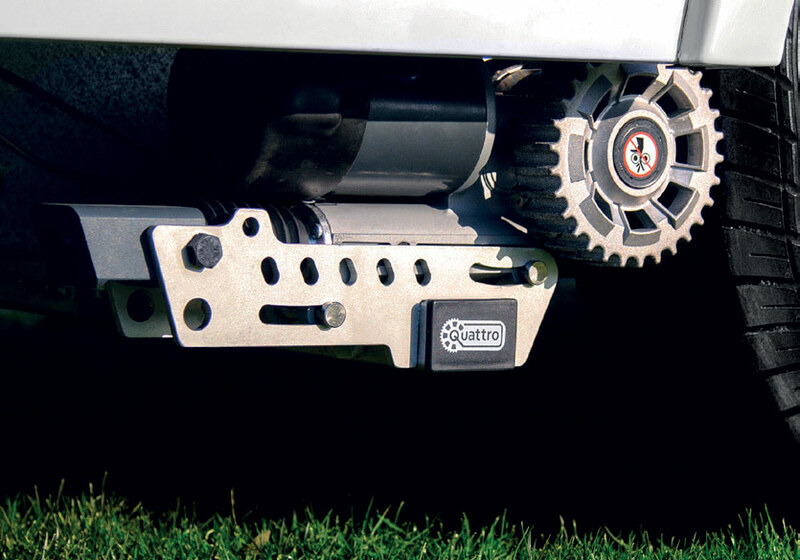 The unique twin roller design means that there is no deflection of the rollers on contact with the tyre. This means less resistance on internal gears. The efficiency is further aided by an oil filled gearbox. This all adds up to a lower current draw meaning far less drain on your leisure battery. The new Purpleline Quattro design means that all excess material has been removed. 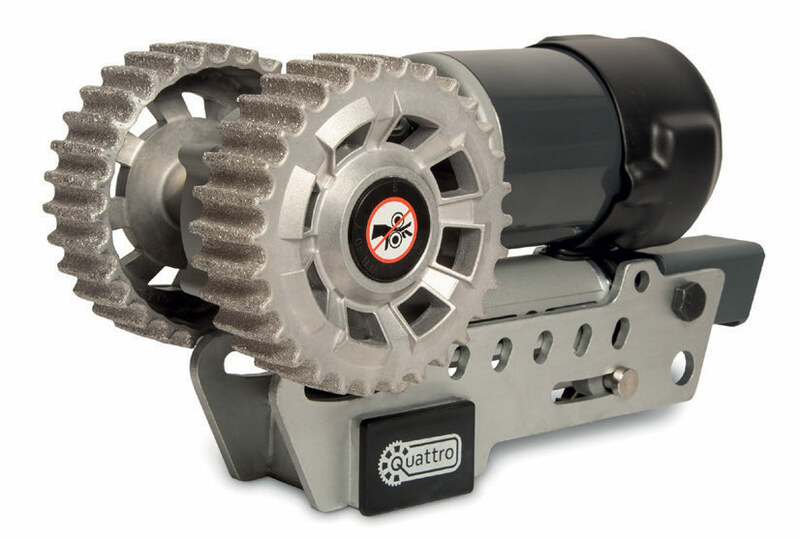 The Quattro delivers weight savings in the gearbox, framework and rollers. Lower weight means you can make the most of your payload. 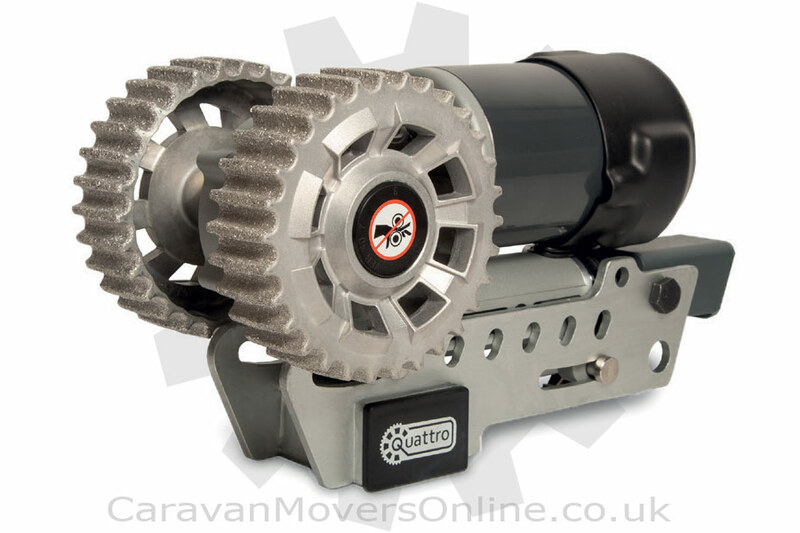 Please note: As of 11-March-2011 all Enduro Movers fitted come with a 5 Years PARTS ONLY Warranty. Labour is not included in warranty.